From the hipster tea shops in New York City to the expansion of tea offerings on the Starbucks menu, it’s clear that Americans are falling in love with tea. Some are even calling tea’s renaissance the “New Age of Tea”. And, as you’d expect whenever there’s a new trend in the air, people are discovering lots of new ways to enjoy it while it lasts. Here’s how the movers and shakers are celebrating the New Age of Tea. You’ve heard of cold brew coffee – well, the flavor of tea is enhanced by the cold brew method, too. When you brew tea for a longer period of time, the various flavor notes really get a chance to come out in full force. High tea may be a long-forgotten tradition, but in some parts, it’s enjoying a new awakening. Trendy locales like Brooklyn and Los Angeles have small contingents of hipsters who are reinventing high tea in fancy hotels and tea hubs. If you find yourself in Brooklyn, for example, you can visit the Williamsburg Hotel on the weekends for their rendition of High Tea. Look for this trend to hit other parts of the country soon. Green tea is growing in popularity as people discover its health benefits. But in the countries where it’s grown, tea producers are working at maximum capacity. The result is that new green tea-growing areas are popping up all over the globe. Places like Australia and Hawaii are now known for their green tea. Look for more locally-sourced teas to appear on the market in the near future. 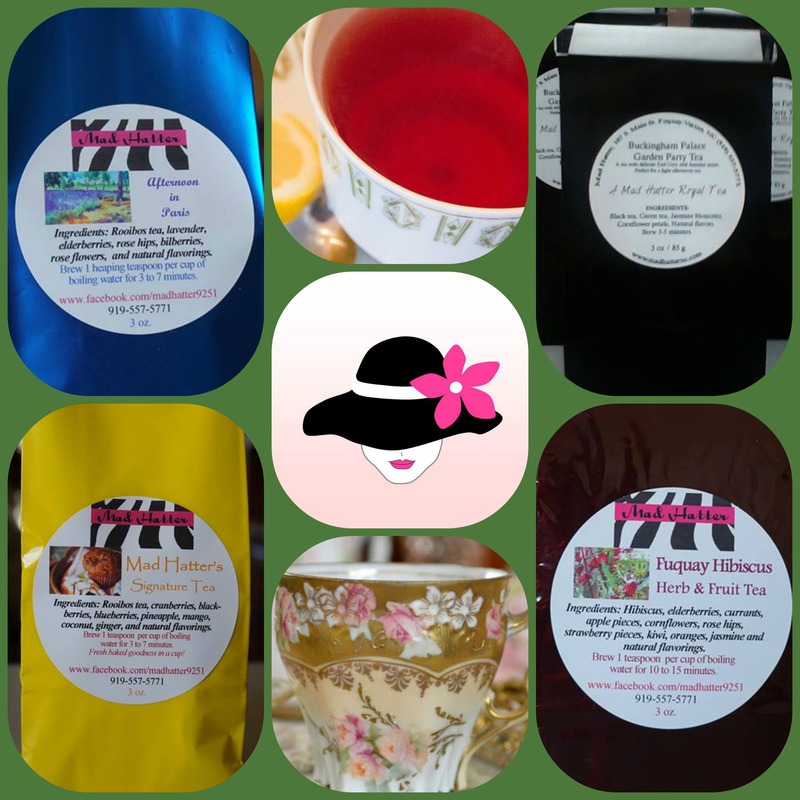 And remember, Mad Hatter sells locally-blended teas, like our Duchess Kate Tea and of course, our Fuquay Hibiscus Tea. A huge trend, one of which Mad Hatter is definitely helping to promote, is the addition of botanicals. Our Blue Suede Shoes Tea, infused with cornflower florals, is just one example. We have lots of crafted teas, each created by someone who loves tea. Mad Hatter is not only a hub and marketplace for fine blends of tea, we’re also a hat shop! All of our products can be found online at www.madhatternc.com and on Etsy: MadHatterNC.